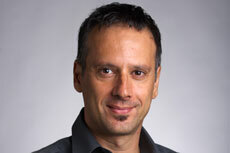 Marco Deseriis is Marie Curie Fellow and Assistant Professor of Media and Screen Studies at Northeastern University. Titled “Can Direct Democracy Be Scaled? 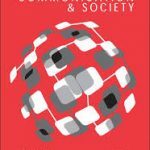 The Promise of Networked Democracy and the Affordances of Decision-Making Software,” his current research project examines the rise of Internet-based forms of participatory democracy in Europe. Based on an extensive set of semi-structured interviews with software developers and software users, Scalable Democracy analyzes the political values embedded in the affordances of a new generation of decision-making software and their use within parties such as Podemos, Five Star Movement, and the Pirate Parties. Dr. Deseriis’ research also explores cultural and political dimensions of Internet-based activism, the production of new forms of subjectivity in the network society, and genealogies of experimental forms of authorship. His book Improper Names: Collective Pseudonyms from the Luddites to Anonymous (University of Minnesota Press, 2015) brings together some of these threads by examining the contentious politics and the struggles for control of a shared alias from the early nineteenth century to the age of networks. 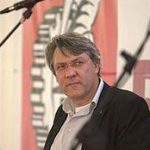 Deseriis’ writings have appeared in the Journal of Communication Inquiry, Theory & Event, Radical History Review, Critical Communication/Cultural Studies, Culture Machine, Subjectivity, and are forthcoming in Theory, Culture & Society. Deseriis is also the co-author of Net.Art: L’arte della Connessione (Net.Art: The Art of Connecting) the first Italian book about Internet Art.